Located in Mobile County in the southwestern part of the state, Mobile is one of the biggest cities in the state of Alabama. It's the third most populous city in the state and is the biggest city on the Gulf Coast between the major locations of St Petersburg in Florida and New Orleans in Louisiana. It's also the only saltwater port city in Alabama and has been a key transport, economic, and cultural center for the whole state since its establishment back in the early 18th century. Mobile has a rich history, having been under the control of French, British and Spanish powers over the years. It was once the capital of French Louisiana, not becoming part of the United States until 1813. One of the main touristic cities on the Gulf Coast, Mobile is home to some beautiful beaches, fascinating museums and cultural institutions like a professional opera and ballet company, impressive old architecture, and the annual Mardi Gras festivities. This Alabama coastal city has a lot to offer for visitors of all ages and styles, being equally well suited to history buffs and art lovers as it is to beach-goers and outdoor enthusiasts. If you're planning a trip to Mobile to check out locations like the Fort of Colonial Mobile, Meaher State Park, the USS Alabama, or the beaches of Dauphin Island, you'll find plenty of great RV parks and campgrounds to stay at. Read on to learn key details and important contact info for all the best RV parks in Mobile, AL. Situated in a prime location, just a short drive away from Downtown Mobile, the Pala Verde Mobile Home & RV Park is one of the top rated RV locations in this city. Designed with both short and long term stays in mind, this RV park offers mobile home lot rentals and RV spaces to suit every kind of visitor. The park is surrounded by beautiful trees, offering a peaceful, natural haven with a very quiet and soothing atmosphere, despite being only minutes away from some of the top spots and attractions of Mobile, AL. Offering daily, weekly, and monthly rates for your stay, Pala Verde Mobile Home & RV Park can suit any kind of trip. Daily rates start at just $25, with weekly stays costing $125 per week and monthly fees of only $400, making this by far one of the most affordable RV parks in all of Mobile and the surrounding Gulf Coast area. All of the RV lots at this RV park are full hook-ups and are nice and spacious too, able to cater to motor homes up to 50 feet in length. You'll find 30/50 amp power at your RV space, as well as city water, city sewer, and free wireless internet. You'll also find concrete pads for your convenience, with Pala Verde RV Park providing all the amenities you need to have a great stay. There are plenty of factors to think about when choosing the right campground or RV park. Some people prefer to focus on the amenities, others care more about affordability and the daily rates. If location is your primary concern and you want to be close by all the main attractions and landmarks of the city, the Shady Acres Campground should be your number one choice. Perfectly situated in a prime spot near the center of the city, this Mobile RV park is easily accessed off Interstate 10 and mere minutes from all of the main points of interest of Mobile like the USS Alabama, the Bellingrath Gardens, and various outdoor recreation spots too. Right on the Dog River, Shady Acres Campground offers spacious RV sites that can cater to big rigs and motor homes of all shapes and sizes. This RV park is open all year long and provides full hook-ups and utilities to every guest. At your RV space, you'll find 20/30/50 amp power, water, sewer, and cable TV channels too. You'll also be able to enjoy the benefits of complimentary internet access all around the park, as well as a dump station, clean restrooms with showers, and a spacious laundry area with coin operated washers and dryers. There's even a little computer cafe/library area to relax at any time of day. One of the top rated RV parks in the Mobile area, Whispering Oaks RV Park is nicely situated in the quiet area of Theodore, just to the southwest of the downtown districts of Mobile. You can be in the city itself in a matter of minutes, free to visit the various attractions and landmarks as you wish, and then retreat to this quiet little oasis whenever you need to. Whether you're in the Mobile area for business or pleasure, looking for a short or long term stay, this RV park is a great place to call home. 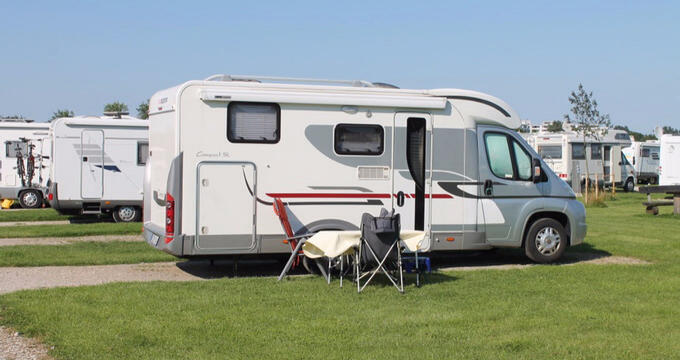 Whispering Oaks RV Park is conveniently situated near several useful stores and popular restaurants, so you won't need to go far to have a good time, and the park itself is fitted out with spacious, tree-lined RV sites to cater to most motor homes. This is a pet friendly Mobile RV park too, so if you're traveling with a canine companion, you can bring them along to Whispering Oaks, as long as you keep any dogs on a leash at all times. This RV park is equipped with clean restrooms and plenty of grassy, nicely landscaped areas to enjoy. All of the RV sites feature 30/50 amp power, water, sewer, garbage disposal, and high speed internet included in the standard rate, with daily stays available for $40, weekly stays for as low as $150, and monthly stays from $425.